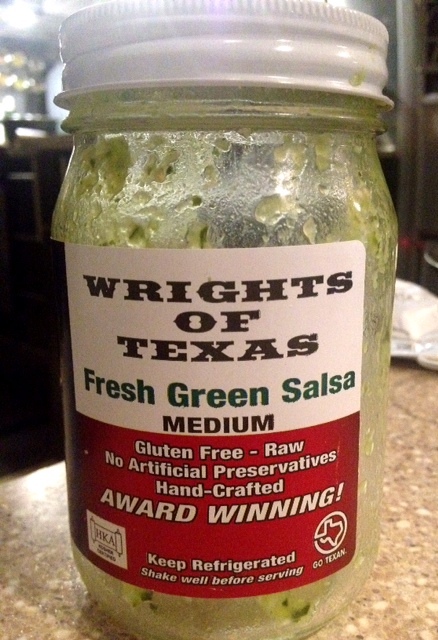 We bought some local Wrights of Texas fresh green salsa when we were shopping at Whole Foods last week, and whoa it's a bit addictive. See the jar? Notice that it's empty? The whole jar. Gone in about 5 days. Must get more before we leave San Antonio. I just went to their website and it turns out you can order it fresh online and they'll cold ship it to you. Perfect!